John Florence was born and raised on the 7 mile miracle of Hawaii's North Shore and was destined to become a Vans Triple Crown of Surfing Champion. In 2011, John became the youngest surfer ever to claim the title. 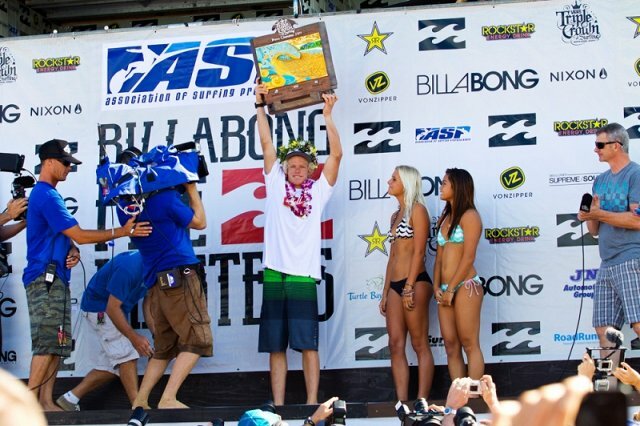 With a 5th at Haleiwa, a win at Sunset and a 5th at Pipeline there was no question John was the man to beat in 2011. Sunny Garcia has won more Vans Triple Crown of Surfing Championships than any other surfer. Furthermore, the Hawaiian Lion is the only person to win three consecutive Triple Crown titles. Although the 2000 World Champion has appeared in final heats at every Triple Crown venue, and has won multiple times at Haleiwa and Sunset, he has yet to win the Billabong Pipe Masters. Sunny came close to winning at Pipe in 1992, but was sent to the hospital twice that event. On the first trip he was treated for a torn muscle in his left forearm after a bad wipeout in his quarterfinal heat. He made it back to the beach in time to advance out of the semis and into the final. Half way into the final, he hit the reef head first and was rushed to hospital again for a concussion. Sunny would finish runner up at the Pipe Masters after Kelly Slater found his way into a small barrel in the last two minutes of the final.